TheRoomLink – final lap before launch! TheRoomLink has come a long way and we have put many hours into developing a product which I believe will transform Student Accommodation in South Africa. I feel for South African students who really struggle to battle to find good quality, secure accommodation while they’re at university or college. And if you think South African students struggle, consider foreign students, mostly from other parts of Africa, who come to study in South Africa. It is not uncommon for the parents of prospective students to plan a trip to South Africa, often for more than 2-3 weeks (and longer if they’re applying for more than one university) to try and arrange accommodation. Because this is how long it takes to contact all the different types of accommodation providers, estate agents and universities. The reality is that in South Africa, on average only 18%-30% of students will find a place in University Res (Residence). The remaining 70%-82% will need to find private student accommodation. At some universities and FETs (Further Education Training Colleges) the crisis is much bigger. Some provide no accommodation at all! We feel for these students. But now put yourself into the shoes of a parent. Your 17 or 18 year old is leaving home for the very first time. If you can afford it, you would have done a road trip with your son/daughter to go and check out the lie of the land, and secure student accommodation for them. But if you can’t afford it? What then? How do you ensure that the accommodation is safe, of an acceptable standard, and somewhere where you will feel comfortable leaving your precious kids? The stories we’ve heard when talking to students and their parents are quite frankly, scary. For everyone involved. How will TheRoomLink.com change that? Save time and money – We hope that as the process is simplified, it will save everyone in the chain time and money. Earn some cash – ordinary people will have a platform where they can advertise their extra rooms and earn some cash. Collaborative Consumption – Introduce South Africans to the concept of Collaborative Consumption – a concept that doesn’t really exist here yet. 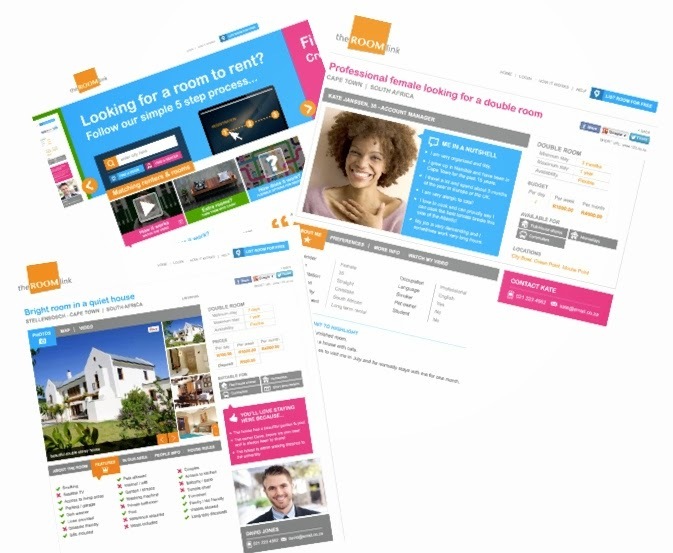 Improve the standards within the student accommodation sector – we believe that if all accommodation providers were to use TheRoomLink to list their properties, prospective renters will be able to compare properties and thereby highlighting those with higher standards. This in turn will drive competition, which should drive up standards. Alleviate crisis in student accommodation – they cannot build student accommodation fast enough to meet the increasing demand. But if ordinary people and homeowners could make available the extra rooms they have in and outside their homes to students, this will help alleviate some of the shortage in student accommodation. We’re now on our final lap before the launch of TheRoomLink. We should finalise testing next week, and the site will be live. How will you know when the site is live? 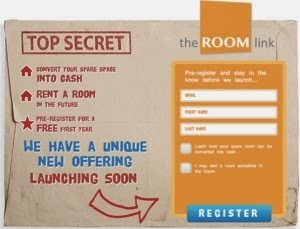 If you go to www.TheRoomLink.com, and you see a home page that looks like this, it means you’ve arrived at our Pre-Registration page, and our new website is not yet been released. 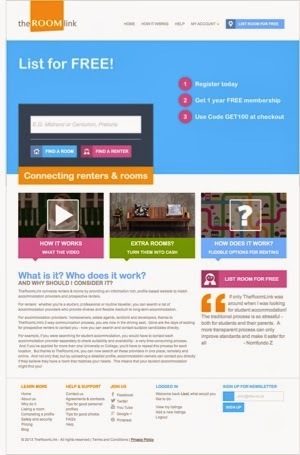 However, if you arrive at www.TheRoomLink.com and the page looks like this, it will mean we’ve launched! Go ahead and make the most of the FREE membership – you’ll be able to list your room or register as a prospective renter there and then. This has been a very ambitious project – one that I hope will succeed. We’ve been overwhelmed by the interest thus far. But as we enter the next chapter, we hope that users will embrace this new web-based search and listing process. Is South Africa ready for it? I hope so!